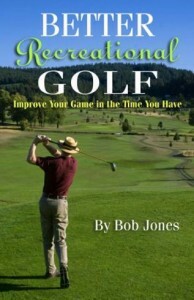 Beginning golfers haven’t learned yet to trust the club to get the ball in the air. It is not unusual for them to try lifting the ball in the air as they hit it. 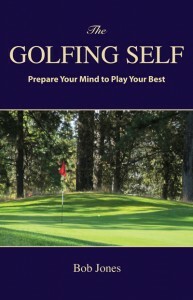 If they learn golf the right way, that is, by taking lessons, this tendency will be eliminated quickly. 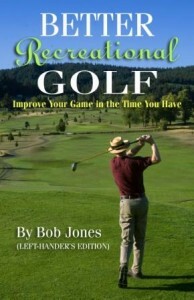 Many golfers do not take lessons, though, and have retained this insidious habit. It is called flipping, and I’ll bet you know someone who does it. This flaw leads both to topping the ball and hitting it fat in the full swing, and to dumping short chips and pitches in front of their objective when close to the pin. The cure is to learn how to drive the ball forward. By drive, I don’t mean hit it with your driver, but impel the ball straight forward. That’s how you hit the ball, by the way, on all but the most specialized shots. You hit it forward. The loft of the club takes care of the getting-it-in-the-air part. If this is your habit, try this drill to fix it. Hit some medium-length chips firmly with an 8-iron. Figure on the ball landing about fifty feet away. The drill is to make sure the club shaft and your left arm are in a straight line when you hit the ball, and they stay that way in the follow-through. I chose such a short shot to make it easy to keep your left arm from wanting to fold. This will give you the idea of driving the ball forward, which prevents the right hand from flipping under in a (pointless) attempt to get the ball in the air. When you get this down, you can hit longer shots and include a body turn so you can follow through farther but still keep the arm-shaft line straight. As your swing lengthens, the left arm will have to start folding after the ball has been struck, but if you have done your work with the short shots, that arm will stay straight as the club goes through the ball. Hit through the ball in this short way a lot. A whole lot. Over time, you will replace the flipping habit with a habit of keeping your wrists in the correct position at impact.